Perhaps you have heard of one of the latest trends in the wellness industry? It’s known as whole body cryotherapy. 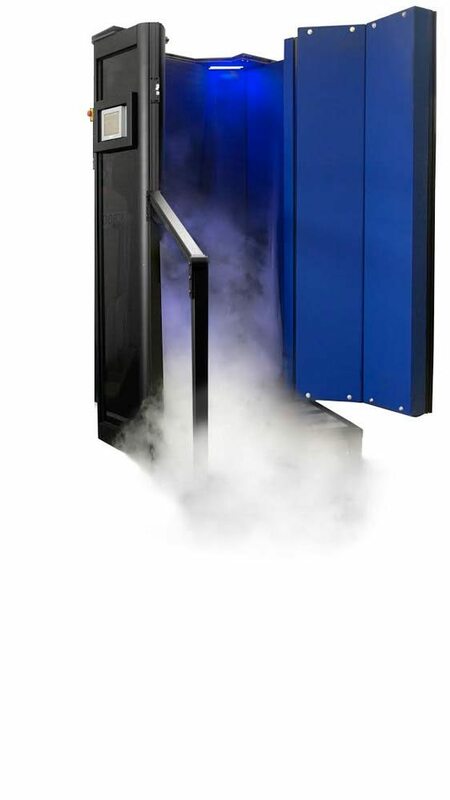 While it has only recently received attention in the United States, whole body cryotherapy has been used for decades. In fact, it originated in Japan in 1978 as a treatment for both muscle recover and rheumatoid arthritis. The therapy then started gaining popularity in Europe as a means of providing physical therapy by various sporting organizations. Today, both collegiate and professional sports teams in the United States have also realized the benefits of whole body cryotherapy. This type of passive treatment is used to treat pain, inflammation, to restore well-being and to boost the immune system, among other things. If you are an athlete or you suffer from pain for any reason, you may have hared of whole body cryotherapy; however, you may not know much about. To shed light on this form of treatment, here is a look at some information that you will find very valuable. During a cryotherapy treatment, you enter into a Cryosanua. The sauna is then filled with gasiform nitrogen, which rapidly lowers the surface temperate of the skin by approximately 30 to 50 degrees Fahrenheit, typically in a period of about two to three minutes. The skin is never in direct contact with the gas, it merely cools the temperature of the chamber. As the skin cools, it sends signals to the brain. These signals, in turn, react as a stimulant to the body’s regulatory functions. Additionally, the exposure to the excessive cold temperatures triggers the release of endorphins and molecules that have anti-inflammatory effects on the body. The result is reduced pain and improved muscle recovery. The number of treatments that are recommended to achieve maximum results vary from person to person, the specific goals of the treatment, and the condition that the individual is trying to repair. Generally, around five to 10 treatments that are offered in close succession will yield quick results. You should wait, at minimum, four hours between treatment sessions. Once the desired results are achieved, fewer treatments will be necessary and they can be spaced further apart. Additional treatments will help to improve and maintain the results of the treatment. How You Will After a Treatment? While the results after a treatment will vary for each person, generally, people report that they have a surge of energy. They feel an increase in their overall well-being and they generally feel very happy. The effects of whole body therapy are immediate and can last for several days. If you are interested in learning more about the amazing benefits of whole body cryotherapy, please contact Body Beautiful. We are conveniently located in Huntington, the home of the Walt Whitman Birthplace and the fame Oheka Castle. One of our friendly and knowledgeable professionals will be happy to answer any questions that you may have.